Writers will be invited to send in full manuscripts for the first round of submissions. All finished picture books will be 32 pages long, including front-matter and end-matter. The editorial team reading the submissions will consist of Yen-Yen Lu, Charlotte Geater, Emma Wright, Richard O’Brien and Philippa Barker. Successful proposals will be matched with illustrators. The editors are particularly keen to see picture book manuscripts from authors who are underrepresented in publishing. They are keen to see submissions from BAME writers, from writers with immigrant backgrounds, from LGBTQ+ writers, and from disabled writers. They are seeking new stories, and fresh perspectives on the world for a curious, contemporary readership. 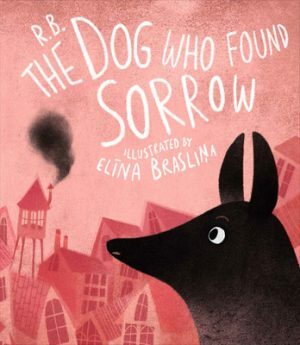 The Emma Press’s newest picture book is The Dog Who Found Sorrow, publishing at the end of this month. It is written by Rūta Briede and illustrated by Elīna Brasliņa, who were both award winners at the 2017 International Jānis Baltvilks Awards in Children’s Literature and Book Art. It is translated from the Latvian by Brasliņa. 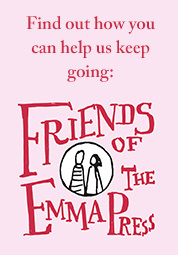 The Emma Press celebrated its fifth anniversary in 2018, and they won the Michael Marks Award for poetry pamphlet publishers in 2016. 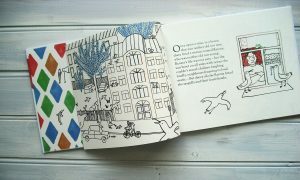 They have published a number of illustrated poetry books, including many for children, and they launched their picture books list in early 2018 with Rūta Briede’s award-winning book Queen of Seagulls. In 2019, alongside their call for picture book manuscripts, the press is launching Bicki-Books, a series of bijou poetry picture books, which each feature a classic Latvian poem translated into English. Every book is fully illustrated by a top Latvian illustrator. The series is art-directed by Rūta Briede. This will be their first open call for original picture books written in English. Check out our children’s books in our webshop to see the kind of thing we publish – shop now. •First time international award combines poetry and illustration. Prize for young illustrators from 18-25 at the start of their career. •Exhibition of winners and runners-up artwork and the poems on display at St Pancras International until 3 January 2019. •Prize set up by Lauren Child, current Waterstones Children’s Laureate and bestselling author of Charlie and Lola and Hubert Horatio, in association with the Betjeman Prize, the House of Illustration and St Pancras International. The finalists of the first international Lauren Child Poetry Illustration Prize are announced today 20th November at a special celebration at the House of Illustration, London. The poems and illustration will be on display at the Upper Concourse of St Pancras International Station until 3 January. The overall winner is Bryony Usher, 21, from Windsor, Berkshire, who illustrated a poem called His Place by Indra Carigiet. The three runners up are Jacob Courtney, from Harlow, Essex, Kerrie Maccauley, from Deptford, South East London, and Laura Wade from Edinburgh. The thirteen finalists are James Bailey, Frances Bicker, Riannon Bristow, Hyelim, Cho, Jacob Courtney, Kerrie Mccauley, Emily Morris, Juliania Shugaeva, Catriona Sweeney, Ursi Tolliday, Bryony Usher, Laura Wade, Bethany Wheeler. All the entrants were asked to choose and illustrate one poem from a selection of ten Betjeman Poetry Prize winning poems by young poets aged 10-13. The overall winner received a cash prize of £1k. The runners-up received art materials donated by Winsor and Newton. The prize is a collaboration between the House of Illustration, St Pancras International, Betjeman Poetry Prize and 2017-2019 Children’s Laureate, Lauren Child. Judges for the Prize were director of the House of Illustration, Colin McKenzie; Queen’s Gold Medal winning poet and illustrator, Imtiaz Dharker, and current Waterstones’ Children’s Laureate, Lauren Child.